The 400w switchable Sun System 2 from Sunlight Supply is an ALL-IN-ONE unit that has the traditional magnetic core ballast contained within the housing of the reflector. 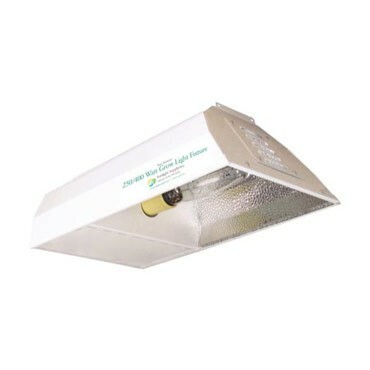 To change from HPS to MH simply flick the switch and install the appropriate lamp. The ultimate in plug and play. Please note that all switchable systems come with one lamp and one lamp only. Second lamp must be ordered separately from the LAMPS category.